Hello and welcome to MFT Sketch Challenge 222! This week we have a fantastic sketch for you to play with! This week I carried on my "Spring" theme. 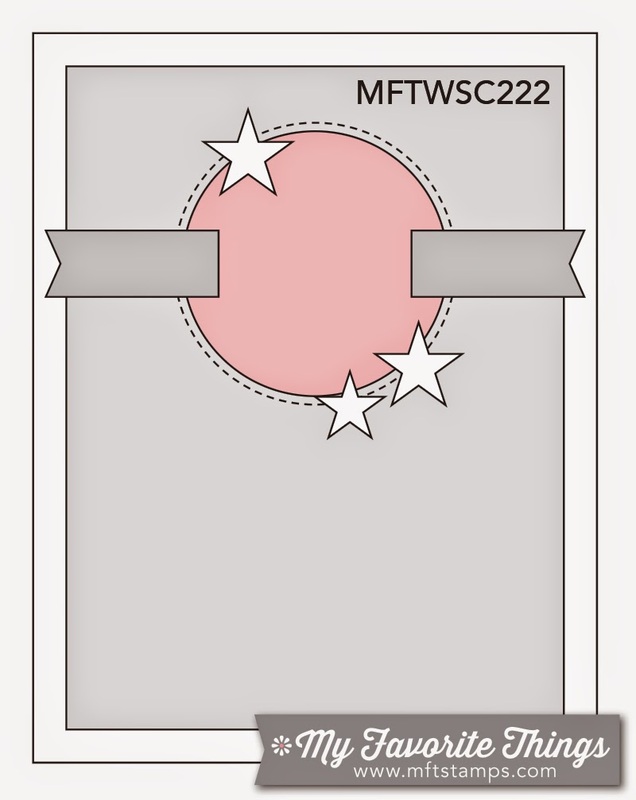 To see the full card, and the creations of my talented teamies be sure to visit the MFT Sketch Challenge Blog Post! Thanks for stopping by! Veronica, this is so pretty! Love it! Such a soft springy card. Love this! 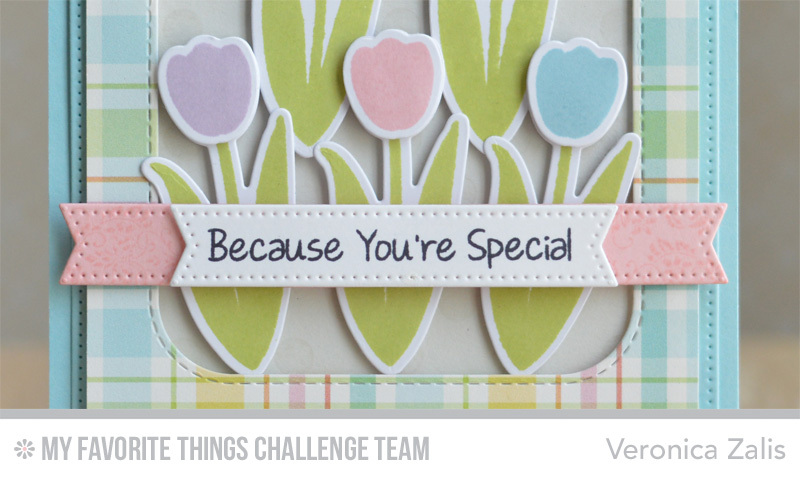 Beautiful spring card and love the colors and design! This is one sharp card. I'd love to find out what the name of the plaid frame was (who makes it)? Loved this card, just wondering who makes that blue plaid frame. Thanks for a very sharp card.